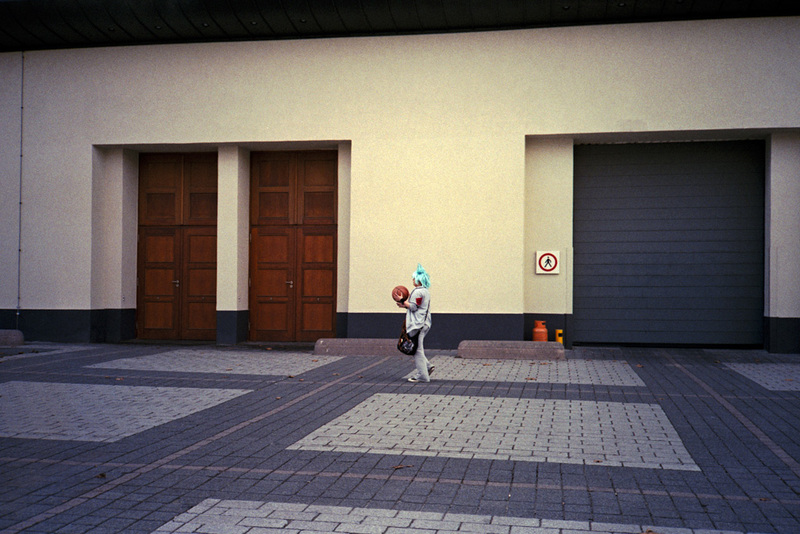 Today I shot 3 rolls of colour film in Seiffen, a small town in the mountains where they traditionally produce wooden toys and decoration for Christmas. It was actually very much like a Christmas outing, since it was snowing and there were lots of Christmas lights and cheesy decorations. We also visited the toy museum, which was quite entertaining, although I have to say that some of the nutcrackers and angels were rather scary. Of course all this strangeness had to be documented! I’m rather curious to see whether anything good came of the hordes of tourists roaming the streets of this town. By now it’s clear that I’ll be developing lots and lots of film when we come back home. Nancy, my M6, is so much fun to shoot, that I’m blazing through the rolls. I actually only have one roll of colour film left, but I’m going to be buying more tomorrow and there is also some RPX400 on the way that somehow disappeared from tracking a few days ago. I guess, developing and scanning all of this will keep me busy for a while, especially since I still have quite a number of rolls left from before. The roll I’m showing you today was actually shot on my last trip. 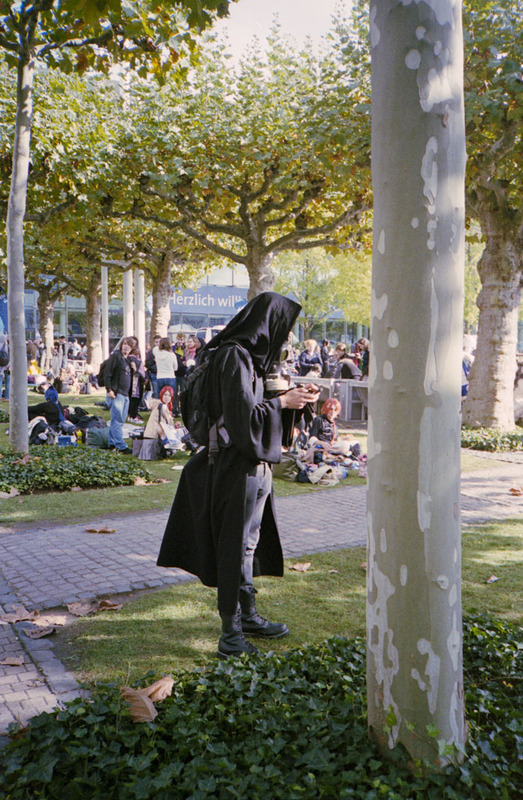 When I was in Frankfurt at the book fair I actually realised way too late that the Cosplay competition finals would be at the fair and I didn’t have any colour film. 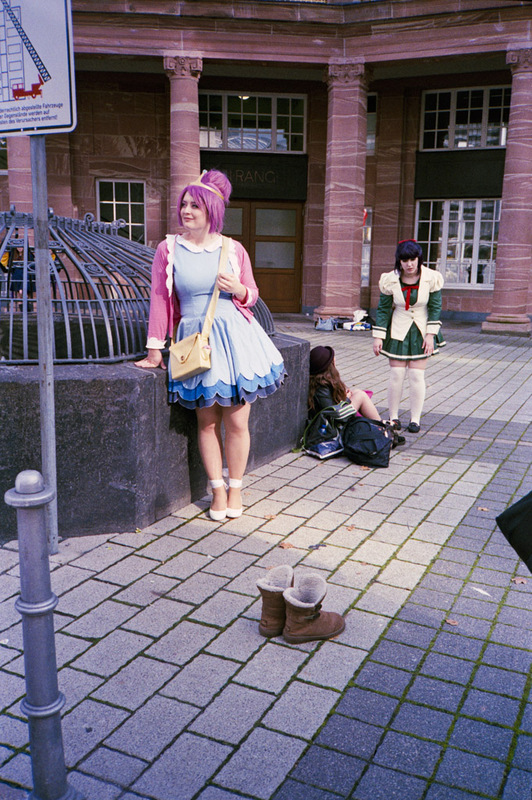 It was a Sunday, so none of the shops were open, but luckily I managed to get some 35mm C41 film at the Rossmann in the train station which is also open on Sundays. I’m glad I did, because this was indeed a colourful bunch! 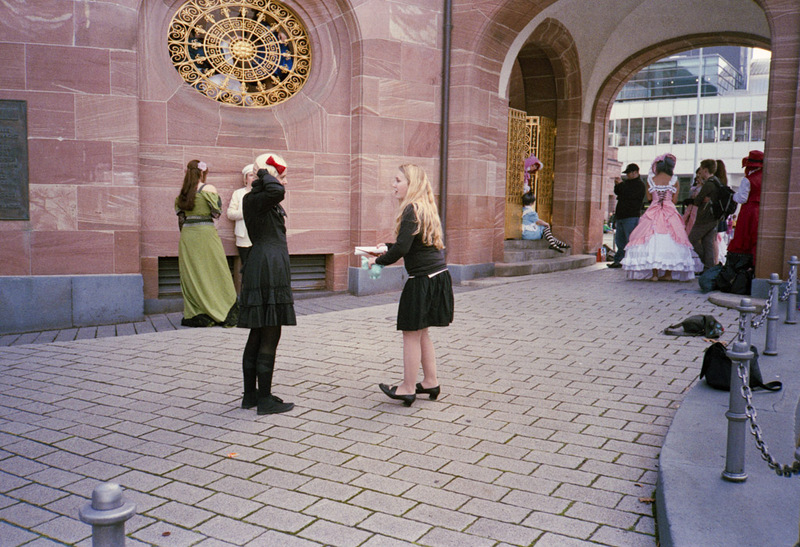 Tomorrow I’ll show you more from this roll. I don’t have that many shots left to show until I’m reunited with my scanner, so I’m budgeting. I especially like the sign in the background. I guess someone changed her shoes! My favourite of this bunch. PS: where is exactly Seiffen? Glad you like it! Seiffen is pretty close to the Czech border in the Erzgebirge. That’s in Saxony actually.